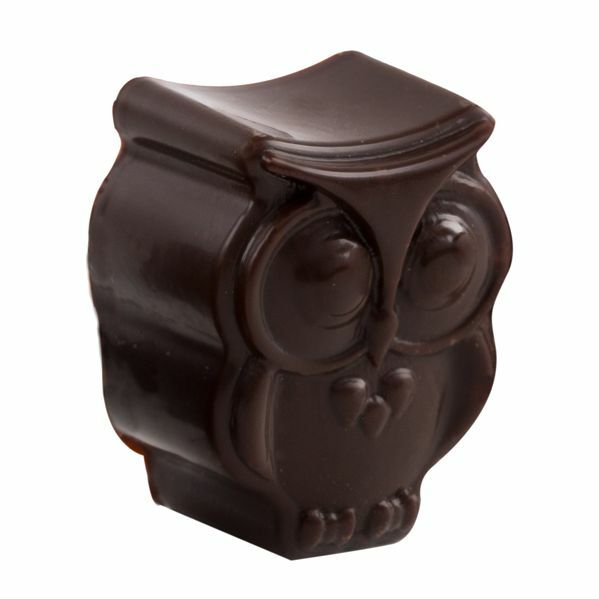 Dark minty owls in delicious dark chocolate with peppermint oil. Taste of the West highly commended these owls! 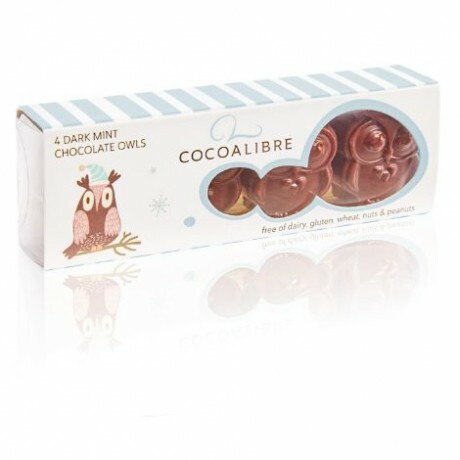 Free of gluten, dairy, nuts and wheat, suitable for vegans and coeliacs: a delicious alternative to milk chocolate. They come packed in an opaque gift box. 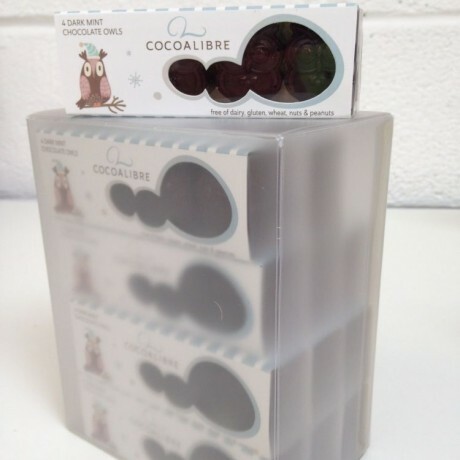 Available to buy in quantities of 12 mini packs. 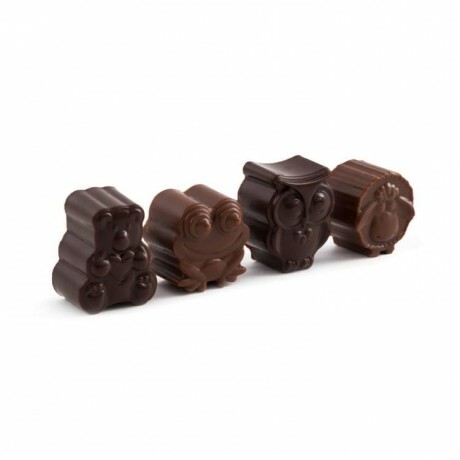 Each mini pack has 4 x rice milk owls in a mini pack (40g). Ideal for party bags, presents & wedding favours.